Traditional lock-maker Yale initially partnered with Nest back in late 2016 to create a new smart lock, dubbed the "Nest x Yale." Despite a few delays since the device's initial announcement, the two companies have finally announced a firm release window at CES 2018 - the device will officially be available in March with pre-orders opening up sometime in February. Pricing still hasn't been announced. 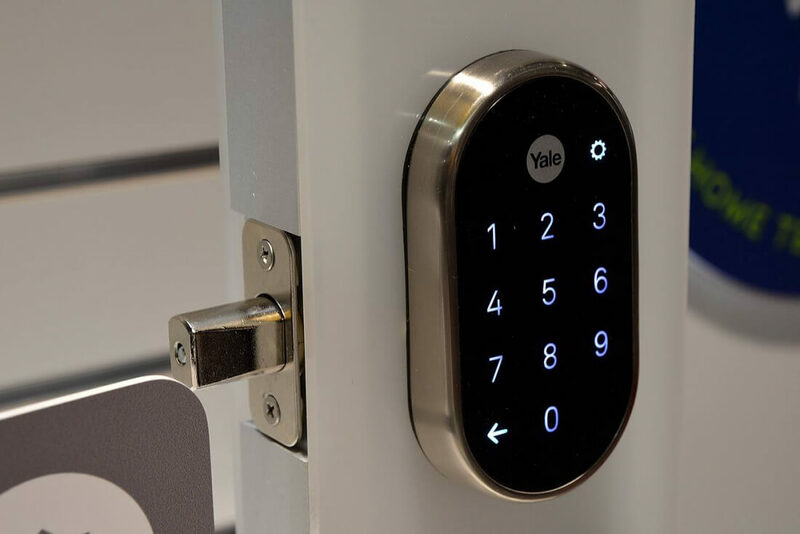 The Nest x Yale smart lock is a touchscreen lock that eliminates the need for a key or key fob entirely. Device owners can enter their home by entering one of up to 250 configurable passcodes or by using their smartphone to unlock the device remotely. Passcodes can also be configured to work only during certain times of the day, a particularly useful feature if you're on vacation and hired somebody to look after your pets, for example. All of that said, the ability to unlock your front door remotely is nothing special by itself. Plenty of other smart lock makers already have similar devices in their line-ups (though not all of them were successful). However, the Nest x Yale's unique appeal comes from its ability to connect with Nest's full home security system. For the unaware, Nest's recently-released "Nest Secure" security system includes motion detectors, an alarm system and full integration with the company's "Cam IQ" security cameras. This integration means you could automatically arm your alarm system, lock your front door and begin recording security footage when your house is empty, while setting your security system to do the exact opposite if a family member comes home.